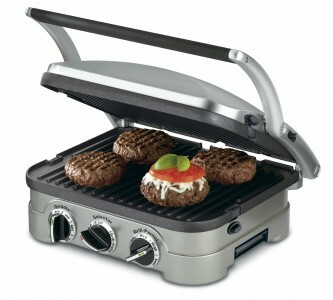 Today, Best Buy has a Cuisinart GR4N 5-in-1 Griddler Sale $39.99, free shipping. Tax in most. Normally $70+tax at amazon, highly rated at 4.7 out of 5 stars. Make pancakes, eggs, paninis, open-faced sandwiches, burgers, fajitas and more with ease. The generous cooking surface lets you prepare meals for your entire family or just yourself.